Beal’s is our go to spot when our sweet tooth is hankering for something creamy and delicious. Churned the old fashioned way, Beal’s premium ice cream is sold all year round. Among their many flavors, they even offer a few sugar-free options, in case you’re not looking to indulge too much. Our favorites include their signature Peppermint Stick Ice Cream and their sundaes – which are drenched in warm pools of hot fudge or caramel. So, you can only get this ice cream at noon on Sundays, but the week-long wait is worth is. 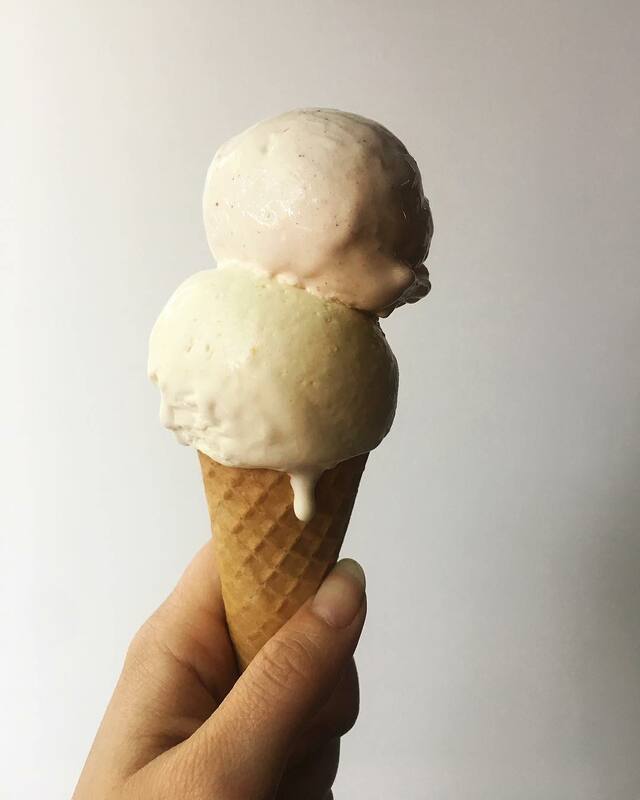 Our buddies across the street have teamed up with The Parlor Ice Cream Co. out of Fork Food Lab to bring Portland some impressive collaborative dairy. Think malted sweet cream and raspberry ripple or their killer ice cream sandwiches. Portland’s Old Port is littered with ice cream shops, but one of the first to offer gelato is one of our favorites – Gelato Fiasco. Owners Josh and Bruno craft each of their flavors using only the best ingredients, yielding an incredibly smooth and rich gelato. Their Fore Street gelateria dishes out gelato made with Maine ingredients, and even has options for vegans – their sorbets are refreshing and on point. Named one of the Best Ice Cream Shops in America by Men’s Journal, Mount Desert Ice Cream dishes out incredible artisanal ice cream. We head over to their Exchange Street shop when we’re looking for updated classics – like the best chocolate ice cream or richest vanilla in town. Their staff is friendly – but get there early, as the secret is out and lines start forming around lunch. One of our favorite things to do is head over to Portland’s East End Neighborhood and spend the afternoon taking in the view of sailboats and surrounding islands in the Eastern Prom Park. But what makes afternoons like these even better is when we hear that classic Ice Cream Truck jingle in the distance, letting us know a cool treat is not too far away. Our favorite here is their Choco-Taco.